President & Instructor – Report Writing and Communications; Pre-License, Law and Regulation of Businesses. 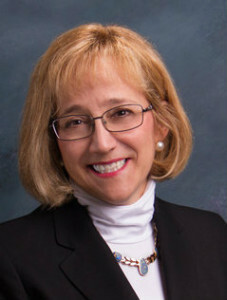 Lorri Keeney is the founder and former President of USHIA (“United States Home Inspection Academy”), one of the first training academies for home inspectors accredited in Connecticut and Massachusetts. She co-founded Homechek, better known as ProChek, Connecticut’s largest home inspection service at the time, with about 90 home inspectors and about 5,000 inspections a year. She sold USHIA and ProChek when she moved to Kentucky. In 2006, her Professional Learning Institute4U (“PLI”) became the first training institute for home inspectors approved in Kentucky by the Kentucky Board of Home Inspectors (“KBHI”), with Provider # KBHI P-1001 & CE-1002. PLI is also licensed by the Kentucky Board of Proprietary Education # R-0403 and a Certified Radon Lab NRSB ARL 5002. She also owns InspectHomes4U, a home inspection company providing services in Louisville, Kentucky. She is a graduate of Western CT State University. Dean & Instructor — Law & Regulations, SOPs, Contracts, Pre-License, Communications; and Manufactured Housing. Dean Keeney is a Kentucky Licensed Home Inspector, HI-2055, a NRSB (“National Radon Safety Board”) certified Radon Measurement Specialist, certified KMHI (“Kentucky Manufactured Housing Institute”) graduate of the Kentucky-approved manufactured home inspection course, and is Senior Training Supervisor for InspectHomes4U home inspectors. 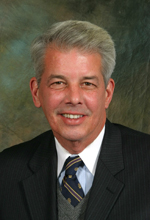 Dean Keeney received his bachelor’s degree from Trinity College (Hartford, CT) in 1971 (where he was an Honor Scholar); his master’s degree from Hartford Seminary (with honors in church history) in 1973; and his doctorate in law from University of Connecticut School of Law in 1980. His received his teaching certificate in Connecticut in 1975, where he served as Assistant to the Superintendent of Schools in Hartford, CT. He also was elected to the Board of Education in his home town in Connecticut. His articles on education have appeared in The New York Times, The American School Board Journal, and other publications. His cases as a lawyer have been reported widely, including the book Death Benefit by David Heilbroner, an MCA-Universal movie and video by the same title, a CBS “made for TV” movie, and in various shows for Forensic Files, A&E, the History Channel. Instructor – Roofing, exterior, insulation & ventilation. Mr. Goldring is co-owner of Main Street Roofing & Construction, a Louisville-based company offering roofing, siding, guttering and home improvements. He holds a Master’s degree in the Art of Teaching (“MAT”) from UofL, a Bachelor of Science degree in Finance from UofL, and an Associates Degree in Management from UK/JCC. He is a Kentucky contractor in general construction. He also has worked in for PNC Bank, worked for the Kentucky Circuit Court Clerk, and handled assumptions for Nationsbank mortgage, at the time largest mortgage lender in the U.S. He also managed Kaelin’s Restaurant. He coaches football for Seneca H.S. Federally certified in Refrigerant Transition & Recovery, where he also was an instructor, Mr. Plahuta retired from General Electric after 34 years of service. He now owns a residential HVAC installation & servicing company. At GE, Mr. Plahuta was certified in HVAC residential Replacement, Installation and Repair. He completed GE certification with GE’s supply vendors, including Trane, 2J & Johnstone. He designed the curriculum for and taught GE’s 12-16 week course in basic HVAC. At GE, he taught the basic HVAC for 4 years. He also achieved certification from GE in Basic Electricity, Advanced Electricity, Electronics I & II, Hydraulics, Shop Theory, Shop Math, and Blue Print Reading, after completing a 17-month program in electronics for United Electronics. In addition to serving PLI, Mr. Plahuta teaches HVAC for the Jefferson County Adult Education program. Instructor – Structure & Interior. Instructor – Structural & Interior Inspection (9 hour Core Curriculum and related topics); Advanced Observation and Identification of Defects in Foundations; and Advanced Observation and Identification of Defects in Structural Components. BS, Industrial Technology, University of Southern Mississippi; M.S. Industrial and Vocational Education, University of Southern Mississippi; M.S. Industrial Engineering, Mississippi State University; M.S. Strategic War Planning, United States Army War College. Regional Manager, J2 Engineering, Inc., 2007-present. Client Service Manager, Weston Solutions, Inc., 2004-07. Commander/Staff Engineer III Corps, Fort Hood, TX, 2002-2004. Commander, 458th Engineer Battalion, 2000-2002. Program manager, HQ U.S. Army Corps of Engineers, 1997-2000.i 2 year teacher at Clinton Jr. High School, Clinton, Miss. Instructor US Army Engineering School in Construction Management & Structure. Kentucky Licensed Home Inspector, HI-2088. Instructor – Plumbing. KY licensed Master Plumber since 2000 and employed in that field since then with S&J Plumbing & Piping LLC. Experience with some of the area’s largest plumbing companies (Dauenhauer Plumbing, Leanhart Plumbing, etc.) since 1989.